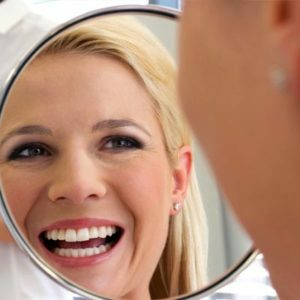 Not so long ago, it was considered trifling to offer a patient teeth whitening or porcelain veneers to enhance their smiles. It seemed like physical health and function or feelings of self-esteem and well-being were considered outside the realm of dentistry. This is not the case today – especially not here at Welcome Smile Dental. We believe that health and function go hand in hand in terms of achieving optimal health and wellness. Botox can be used to treat TMD, migraines, high lip line – even depression. So, what are the benefits of Botox in Dentistry? Can Botox help in managing pain as a result of TMD and migraines? What is TMD anyway? Let’s start with Temporomandibular Joint Disorder or TMD. If you often have a clicking or popping sound when opening and closing your mouth you might have TMD. It’s often accompanied by frequent headaches, migraines, neck aches and in some cases, tooth sensitivity. While some treatments include aspirin or wearing a small plastic guard while sleeping, Botox is gaining popularity as a treatment. Believe it or not, there is a place for Botox in dentistry and for relieving pain as a result of TMD or migraines. To begin with, Botox is a muscle relaxer and can greatly reduce the intensity of the muscle contractions that contribute to TMD and facial pain for our patients. You see, when your jaw muscles are strained, they contract. This contraction leads to muscle spasm, pain and soreness as well as a buildup of lactic acid and other waste metabolites. A few Botox injections can help prevent the muscles from tensing around your jaw line. Traditionally, the treatment for a high lip line would most likely be surgery. Botox can offer a much less invasive option for patients and can help raise your gingival height to meet the lip line. With Botox and potentially a crown or bridge, we are able to establish a more symmetrical dental esthetic for your smile. With some Botox Therapy and lip augmentation with dermal fillers, the muscles surrounding the lip are weakened so they cannot raise the lip as high as before. More and more, patients consider Botox to be the final step in completing their smile makeovers. There is evidence that patients who experience improved facial esthetics are simply happier! Botox seems to have a positive effect on the emotional outlook on life. Recent studies indicate that there is a strong relationship between stress, depression and periodontal disease. Stress and depression can reduce the immune system and trigger a chronic inflammation. Rather than being mutually exclusive, function and esthetics are partners in achieving optimal health. Call Us at (403) 261-8855 to book your Botox consultation appointment today!